But despite the beauty of these homes, this year’s tour got me thinking about the difficulty many homeowners face trying to maintain a modern look that’s also functional. It’s a challenge to create a living space with clean lines and simple shapes that also offers the storage and utility you likely need. Striking this balance is almost impossible if you buy off-the-shelf furniture. Nothing you find in a store is likely to quite capture your aesthetic vision, and your unique lifestyle is sure to create storage challenges that require a personalized solution. The workaround, of course, is to go custom. Your living room is the space that most strongly represents your sense of style to others – if guests are visiting, it’s likely where they’ll spend the majority of their time. If you want to make a statement, it’s the obvious place to start. But a mistake I see in some modern homes is to veer too far toward form while forgetting about function. You can create a very visually attractive living room that feels so empty no one wants to spend time in it. Try to strike a balance between expressing yourself and keeping the space functional and inviting. A great way to do this is by focusing on your media cabinet. A custom media center gives you space to store books, movies, and games in addition to housing electronics and hiding cords. You won’t have to worry about living room clutter ruining your clean look, but you still get the functionality you need so that family and guests actually want to spend time in the room. You can even take your media center to the next level by adding custom accent colors that create a simple focal point for the room, or choosing touch-latch cabinetry to avoid the visual clutter of knobs and pulls. Another challenging area for minimalists is the master bedroom. In fact, bedrooms are an area where I felt one or two homes on the Silicon Valley tour this year were lacking. You need your bedroom to be a sanctuary, a place you can unwind – but at the same time, you’ve probably got plenty of personal belongings. It’s a shame to have a beautiful bedroom without the features that people’s lives today demand. At Valet Custom, we often recommend a bedroom wardrobe as a way to give yourself the storage you need without adding too many pieces of furniture to your room and spoiling its sleek look. A custom wardrobe can house virtually anything. 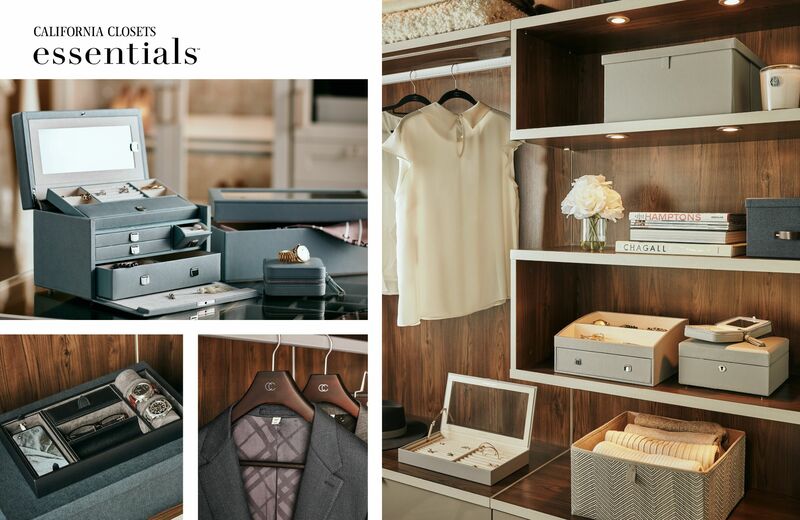 A favorite client of ours had us create a wardrobe with a three-drawer storage system to house her collection of vintage bracelets and brooches, and we were still able to give her more than enough space for clothing and other accessories. These features were incorporated into a design that was decidedly modern, which again goes to show that a simple style and storage capabilities are not mutually exclusive. Your closet is another prime area to remodel when you’re trying to achieve a modern style without losing the ability to live your life. Pull-out hampers allow you to keep your dirty clothes out of sight until it’s laundry time, and roll-out shoe storage keeps your shoes out of the way. We can even add in a fold-away ironing board. It’s especially important to avoid the trap of going too far in the modern, minimalist direction in your guest room. No one wants to stay the night in a spare room that feels like a holding cell. Luckily, again, there are ways to have both modern form and superior function. A wall bed is a great way to retain an open and uncluttered look without making your guests feel like they’re in Santa Clara County Jail. When the bed is set up, you have an inviting room where anyone would be pleased to stay. When the bed is tucked away, you wouldn’t even know it was there, and your spare room can again be the pinnacle of modern simplicity. We can also install matching cabinetry that gives you ample storage options, seating, and even a pull-out workspace if you need your spare room for projects or as a work-at-home space. No matter your needs, we’ll help you express your artistic taste while retaining (and even improving) your home’s functionality. As the Modern Home Tour shows, the modern look is quite popular in Silicon Valley. But it poses a unique set of difficulties. If you live in a modern home that doesn’t quite meet your practical needs, or if you’re looking to add some elegant simplicity to your home, get in touch with us. 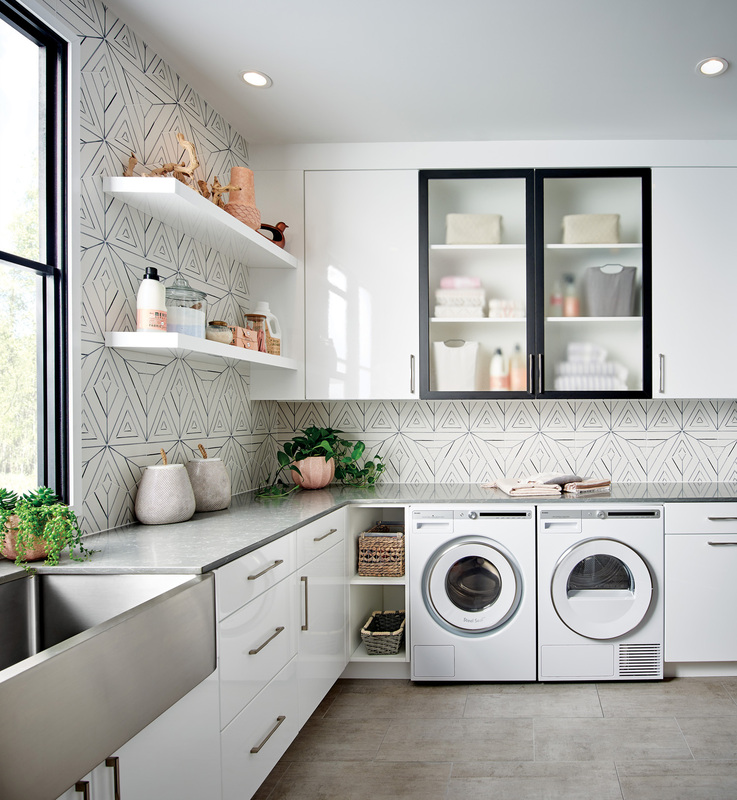 Check out our showrooms in Campbell or Danville for some in-person inspiration, or schedule a free in-home design consultation so we can help you craft the perfect storage solution for your lifestyle.